Capital gains tax is the New Zealand equivalent of the Irish Border in Brexit: An intractable issue which politicians have kicked endlessly down the road without resolution. Until now. Perhaps. The Tax Working Group’s interim report  released in September follows this pattern of deferring the dreaded day. Rather than make an outright recommendation, the interim report instead explains the policy reasons for increasing the taxation of capital and wealth before reviewing two main alternatives; broadening the taxation of realised capital gains from classes of assets not already taxed (the CGT approach), or taxing on a deemed return basis, the risk-free rate of return method. What the TWG isn’t proposing is a separate capital gains tax regime encompassing the taxation of all gains and replacing the present rather ad-hoc approach. This is an important point which seems to have been drowned out by all the noise around the issue. The TWG is recommending a “targeted” approach to tax asset classes which are not currently fully taxed. Existing regimes such as those for financial arrangements and foreign investment funds (FIF) will remain. This is an extension of the incremental approach to taxing capital gains which has been in place for the past 50 years. 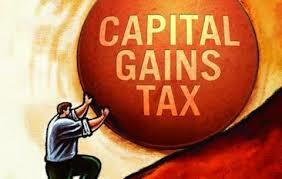 What makes the TWG’s suggestions radical is that it should effectively result in comprehensive taxation of almost all capital gains. The suggested approach should also be legislatively easier to introduce as it would not require a complete rewrite of the existing legislation. The TWG has decided to follow the example of Canada and South Africa and adopt a “valuation-day” basis under which all the gains from the date of introduction will be taxed. The TWG rejected the Australian approach of exempting assets acquired prior to introduction of CGT as encouraging “lock-in” or the retention of assets in order to defer realising a tax liability. A valuation-day basis does require obtaining market valuations of assets held on the date of introduction. Much has been made  of the compliance costs involved in obtaining market valuations of assets with the view that these costs would be a deal-breaker. Although such an approach would indeed be prohibitively costly, other jurisdictions which introduced valuation day CGTs have managed to resolve the compliance issue. The TWG noted the Canadian approach where the taxpayer’s cost in an asset acquired prior to the introduction of CGT could be the median of either actual cost, the value on valuation day or the sale price. Another option would be to allow taxpayers to pro-rate the gain or loss on a time basis. This was one method allowed by South Africa  after it introduced its valuation day basis CGT on 1 October 2001. In short, adopting a pragmatic approach can resolve the valuation issue without imposing unreasonable compliance costs. (It might also require banging a few heads at Inland Revenue which too often circumscribes promising initiatives such as the Accounting Income Method with overstated fears of potential tax avoidance). Other key features of the TWG’s proposals are that the net gains will be taxed at a person’s marginal income tax rate, no concession will be made for inflation and capital losses will generally be able to be offset against other income. In some circumstances, such as death, the gain could be “rolled-over” and only taxed on ultimate disposal. All up the proposals are estimated to potentially raise close to an additional $6 billion of tax over the first ten years. But fitting a CGT into the existing patchwork has its issues. The “tax, tax, exempt” (TTE) approach applicable to investment vehicles such as KiwiSaver funds and other portfolio investment entities (PIEs) creates issues around aligning their tax treatment with that of individuals. This was an issue seized on  by the New Zealand stock exchange (NZX) and the Securities Industry Association (SIA) in their submission to the TWG. An answer to the problem identified by the NZX and SIA might be to tax Australasian shares using the FIF regime fair dividend rate (FDR) methodology. In this regard the TWG noted that the current 5% FDR rate was set in 2007 and may now be too high. It is considering whether that should change and whether the present comparative value option available for individuals and trusts should be removed. Alternatively, overseas shares currently subject to FDR could instead be subject to CGT, a move which would raise an estimated $680 million over ten years. The alternative to a CGT, the risk-free rate of return method (RFRM), was proposed by the McLeod Tax Review in 2001 and adopted for the FIF regime introduced in April 2007. Its attraction is more predictable cash flows for the government and the issue of “lock-in” doesn’t arise. However, it also has issues around valuing assets, taxpayers may not have the cash flow to meet tax liabilities (an existing problem with the FIF regime), and how would it tie in with the availability of interest deductions. Intriguingly, RFRM is seen by some as a better tax solution for addressing housing inequality . On housing, the TWG’s terms of reference exclude taxing the family home but the interim report raises the issue of whether an exception should be made for “very expensive homes” defined as worth more than $5 million. The suggestion is that imposing an upper limit should act as a deterrent to owner-occupiers over-investing in their property. It will be interesting to see if that suggestion makes it into the final report. A largely unremarked feature of the TWG’s work is the greater attention given to the implications of the tax system for Māori. This is in marked contrast to previous tax working groups. Māori submitters were overwhelmingly opposed to a land tax, so a policy backed by the last tax working group in 2010 has this time been rejected. Māori concerns about how a land tax would operate would be equally applicable to the RFRM alternative. The TWG’s interim report also identified the potential implications of a CGT on Māori freehold land and assets held by post settlement governance entities as requiring further analysis. If a CGT is introduced then a possible exemption for such assets might be one outcome. Against this background my belief is that despite the reservations of several of its members, the TWG’s final report will recommend the introduction of a realisation-based CGT. However, it may also suggest that its implementation is deferred by a year until 1 April 2022 to allow time for further consultation. We will be hearing a lot more speculation about CGT for a while yet. This is my last column for 2018, my thanks to David and Gareth for their support and to all my readers and commenters, thank you for your engagement. Have a great Christmas and see you in 2019.